When you want to sit higher than everyone else and a smaller lift is not the right choice for you, know that you can turn to Extreme Terrain. 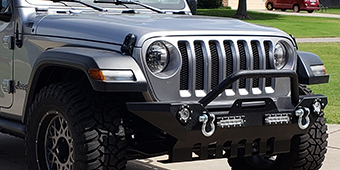 We carry a large selection of 2018 Jeep Wrangler JL lift kits from five inches and up. These intense lifts are perfect for anyone who likes to rock crawl and flex on the largest boulders out there. 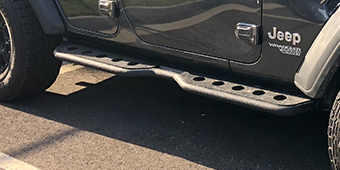 You will find that these five-inch lift kits are usually installed within a day and they increase the drive performance of your JL as well. When you want a monster truck, our five-inch lift kits are the perfect step in the right direction. Come check out our lift kits – you will find they are very affordable.